The Ruth First fellowship is a prestigious award made by the University of Witwatersrand that enables journalists, writers, researchers, film makers or photographers to pursue in-depth projects that can be presented in ways to influence thinking, discussion and debate in South Africa. Previous Fellows include Pregs Govender, Pumla Dineo Gqola, Leonie Joubert, Hilary Joffe, Henk Roussouw, Santu Mofokeng, Alon Skuy, Maggie Davey, Jacob Dlamini, Crystal Orderson, Christa Kuljian, Kally Forest, Eusebius McKaiser, Salim Fakir, Panashe Chigumadzi, Sisonke Msimang. Lwandile Fikeni and Nolwazi Tusini. Our goal is to support a new generation of public intellectuals capable of immersing themselves deeply in the most pressing issues and ideas of the day, engage in original research and to tell great stories – presenting their work in ways that can engage a new generation of audiences eager to be confronted with new information and new ideas in forms that are accessible and provoking. 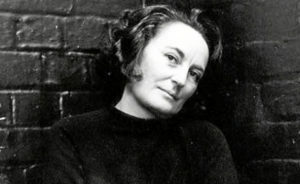 Ruth First was a journalist, activist, researcher, and intellectual. In her twenties, she wrote for and edited some of the most radical newspapers of her day, covering stories of slavery, workers movements, and land. Later she became a teacher and researcher writing on the lives of working miners, on feminism and on political theory. She was assassinated in exile by the apartheid government while running a research institute in newly-liberated Mozambique. The fellowship is intended to allow Fellows to pursue an in-depth project of original research. It should be groundbreaking and in keeping with the tradition of Ruth First’s politically and socially relevant research and journalism. In addition to financial support, the Fellowship program will provide mentorship and feedback aimed at developing the Fellows’ understanding of their research, and deepening their skills in communicating their research to audiences. We welcome applications from writers, journalists, film-makers, photographers, and researchers. Fellows will receive a monthly stipend and research costs. They must be resident in South Africa. They will be expected to devote a substantial amount of time (at least 50%) to the Fellowship. They will be expected to present their work at an event in August and to submit it for publication in appropriate forums. Click here for further details on how to apply for the 2019 Ruth First Fellowship. We need role models to remind us of who we are, where we have come from and the price many have paid to bring us here. Ruth First is such a model. As a communist and a feminist, she would have been a strong opponent of current abuses of power and the neglect of basic human needs for safe and affordable energy, adequate food, jobs, and housing. As a woman born to white middle-class power and privilege, she is an exemplar of turning that power and privilege against itself to serve the interests of the poor and the oppressed. She did so as a journalist and as a scholar. As an investigative journalist, she was incredibly productive, at one time producing up to 15 stories a week, many of them about the exploitation of black workers. For instance in 1947 she investigated and exposed the brutal treatment of labourers on the potato farms of Bethal. During the great African miners strike of 1946 she was among a handful of whites who assisted the strikers. This was soon after she became Johannesburg editor of the radical newspapers, The Guardian and then New Age and later the literary magazine, Fighting Talk. government prohibited any publication of her work and banned her from entering any newspaper office. Her writing as a scholar and a journalist was marked by a critical independence as well as an engagement with some of the crucial issues of the day, such as the militarisation of African politics in The Barrel of a Gun: the politics of coups d’etat in Africa (1970), followed by Libya: the elusive revolution(1974), and, with others, The South African Connection: Western investment in apartheid (1972). Ruth First was at the heart of the liberation movement in the region of Southern Africa. She participated in some of the key moments of the anti- apartheid struggle. For instance, she helped to draft our foundational document, the Freedom Charter and was active in the Congress of Democrats which helped organise the Congress of the People in Kliptown on 26 June 1955 when the Freedom Charter was adopted. In 1956 she and her husband, Joe Slovo were among the 156 people arrested on charges of high treason and of contravening the Suppression of Communism Act, a trial which would hang over them for the next four years. For all these reasons, Ruth First is one of the graduates that the University of the Witwatersrand is most proud of. She graduated in 1946 with a degree in Sociology and Social Work, and for the past fifteen years the Sociology Department has awarded the Ruth First prize to the best third year research project to encourage her example of meticulous scholarship and fearless investigation of important social issues. At the time her fellow students included Nelson Mandela, Eduardo Mondlane, Joe Slovo and Ismail Meer. She was arrested at Wits, where she was studying librarianship, on 10 August 1963. She was detained under the 90-Day Detention Act under which the police could hold anybody for 90 days without charge. After 89 days she was released but immediately re-arrested. Fearing that she could notcontinue and would betray her comrades she tried to kill herself by swallowing all her sleeping pills. She survived and interrogation continued until she was released on 5 December after 177 days in solitary confinement.